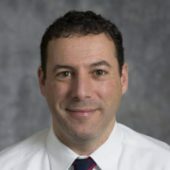 Allessandro A. Girolamo, Jr., M.D. A Massachusetts native, Al Girolamo always wanted to return home to practice medicine. After graduating from Jefferson Medical College in Philadelphia and completing his residency at the Cornell Campus of New York Presbyterian Hospital in New York City, Al spent his first nine years practicing primary care in the Blackstone Valley. He worked in a community health center where he was also involved in the education of medical students and residents from the University of MA. Al joined Acton Medical to continue pursuing his goal of providing high quality primary care for individuals and families. In his free time, Al enjoys running, hiking, following local sports and spending time with his wife and two sons.